There have been media reports of a fight between Sherpas and climbers on the slopes of Mount Everest. Rich white men without compassion or mountaineering experience have been throwing dollars at the world’s highest mountain for a couple of decades now and the atmosphere at base camp is one of sloth, luxury and violence. Nepal remains desperately poor, the mountain gets more crowded every year and most so called climbers are simply there to be able to say that they have been there. The trekking tourism out of Lukla is utterly deplorable with hundreds of tour groups marching like small victorious and very wealthy armies marching in the face of grinding poverty. The circus at base camp is even more disgusting with hundreds of mountain tourists lording it over the locals. Since Hillary and Tenzing went up Everest in the early 50s, nothing much has improved in the life of the people who live around the world’s highest peak. In fact their front door is now strewn with rubbish of all sorts including the human kind. 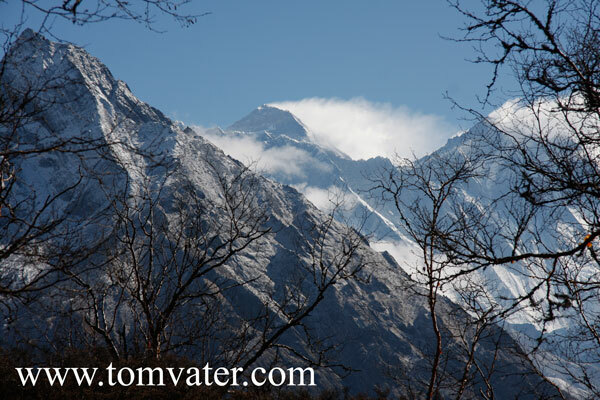 For the Nepalis the mountain is sacred. For the foreigners it’s just an ego playground. It would be absolutely the best to close the mountain to these people. But the Nepali government makes so much cash from permits, that this is unlikely to happen. The tensions will continue and the whole spirit of the enterprise has long turned into absolutely crass commercial nonsense. The situation on Everest is by no means unique. The sense of idiotic entitlement white people feel they have when they come to Asia is visible from the beaches of Ko Panghan to the slopes of the Himalayas. Resentment will continue to grow and occasionally there’ll be a violent discharge against this aspect of neo-colonialism. Read Jon Krakauer’s Into Thin Air for a great text on the commercial scramble for the world’s highest peak. “McEverest” is pure brilliance! Your observations are keen when they are personal. “idiotic entitlement white people feel”..”neo-colonialism” is so 70’s lefty. So brain-dead and chest-beating and self-flagilating. Those aren’t your facts, your personal conclusions. You ought to modernise your education. Stop thinking Mao and think about how wrong he is. A billion Chinese say so. Observe the Chinese tourist please!